This year the culture programme of the word-rock festival held in Paide in August wanders along psychedelic and jazzy paths instead of rock music. 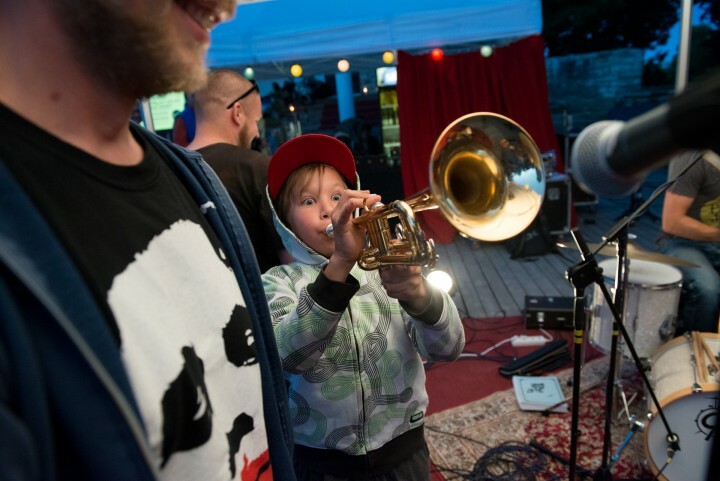 Filling the Festival Club with sounds is the responsibility of Tartu’s multicultural Genialistide Klubi in cooperation with Möku. Their joint programme attracts audiences with both superb DJs and young rappers. If you want to escape the discussions for a bit, you can pop into the festival club where you can enjoy the sounds of the hissing old vinyl from the Melodija label, pulsating beats from the Balkans, the best estrada pieces of the Eastern block and the soft breeze of yacht rock. The keyword of Friday night’s official programme is “Youth”. At the festival club, you can enjoy the performance of 15-year-old rapper EIXD from Aruküla, whose lyrics tackle social issues and may even bring additional thoughts to some of the topics debated at the discussions. Then, Liis Ring aka Cirkl who is studying music and sound production in Gothenburg takes stage with her dreamy indie-pop, a hovering cross between jazz and classical music. To finish off the first day you can listen to playful improvisations by Edmund Hõbe, a multi-instrumentalist from Tartu. Saturday is all about psychedelic sounds and vinyl. Once the last discussions have ended, Berk Vaher, a multi-talent with an odd taste in music, and Ahto Külvet, a vinyl enthusiast who gets excited by the products of weird-looking record labels, invite you to the first ever Psycho Disco in Paide. The audience will be welcomed by the colourful world of analogue music with repertoire expanding from Kazakhstan to Latvia and from Brazil to Poland. The motto of Psycho Disco is simple − we are all equal before the Moog keyboard!